The last few weeks I've been very busy working on a commissioned project and also there was a problem in the web server of Paper Replika. 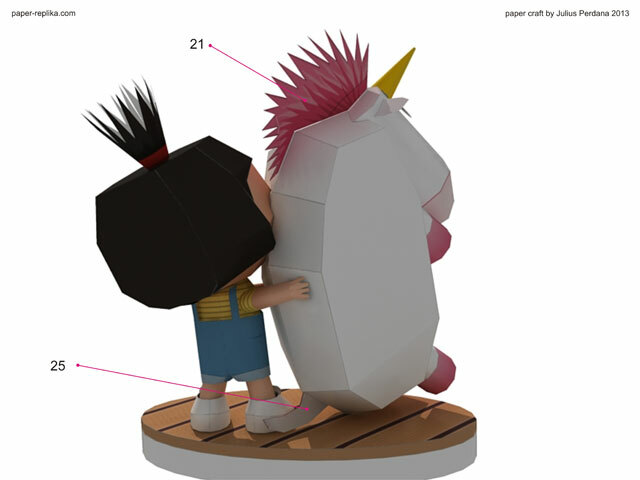 I finally had time to finish the Agnes paper craft from Despicable Me. This project actually started 2 years ago but abandoned, was not followed. Only later when the movie Despicable Me 2 was released. I feel like to continue the work again. 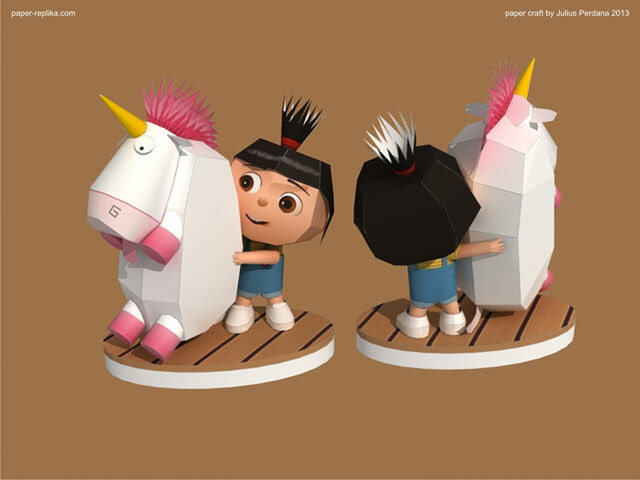 Agnes poses like in the famous scene, when she got a new unicorn doll. "It's so fluffly, I'm gonna die!" In the movie, Agnes face looks passionately angry. 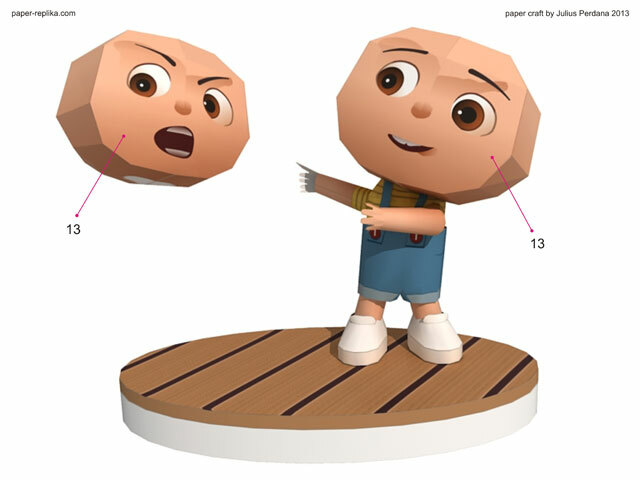 On the Paper Replika Facebook page, some Paper Replika friends want a more cheerful face on her, then finally I made 2 versions of the face that can be selected. The template consists of 9 pages including the display base. Assembly the display stage first. Layer the upper part of display stage (part 1), the one with the wooden plank texture with card-board. 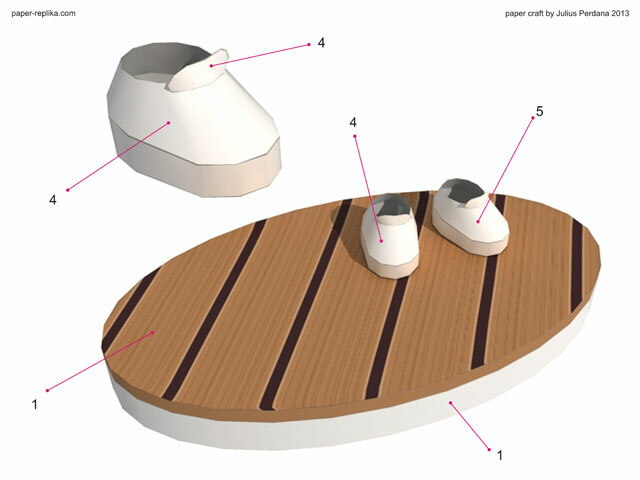 Glue Agnes shoes (part 4 and 5) to the place, it must be glued otherwise the figure won't be able to stand. Attach both her arms (part 8 and 9) to her body. When attaching both legs, watch out for seam markings, make sure you attach the right leg and align the same according to seam markings. 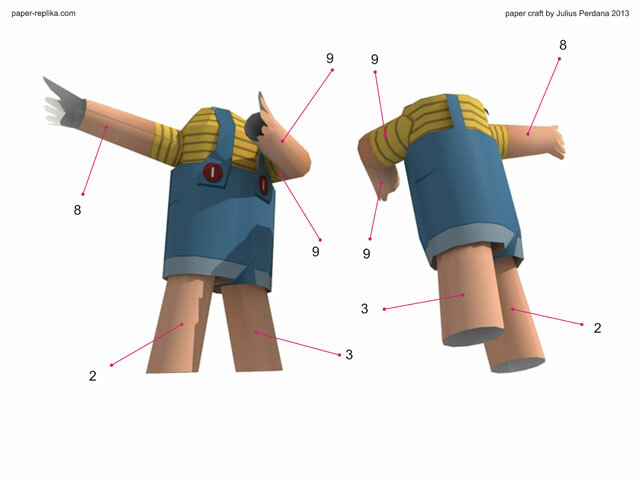 Attach and glue the body, arms and legs to the shoes. Attach Agnes head, there are two options of faces that you can choose. Attach Agnes hair (part 11 and 12). Make sure that you glue her hair just above her eyebrows, like the above image. 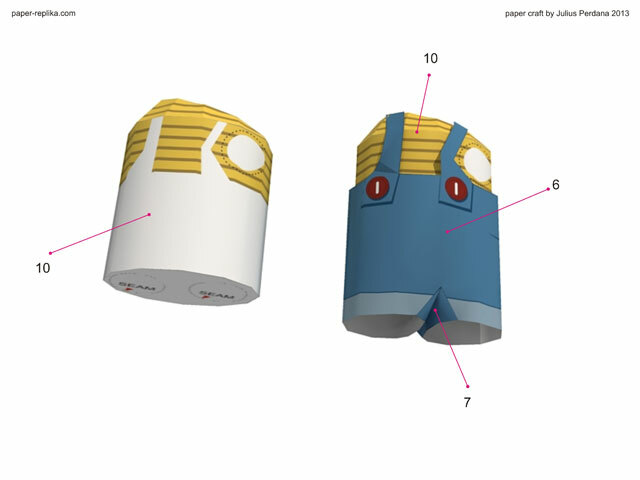 Now assembly the unicorn doll : start complete the main body (part 19) and then attach the head (part 22 and 24). Attach 4 legs (part 15,16,17 an 18) and complete the rest. 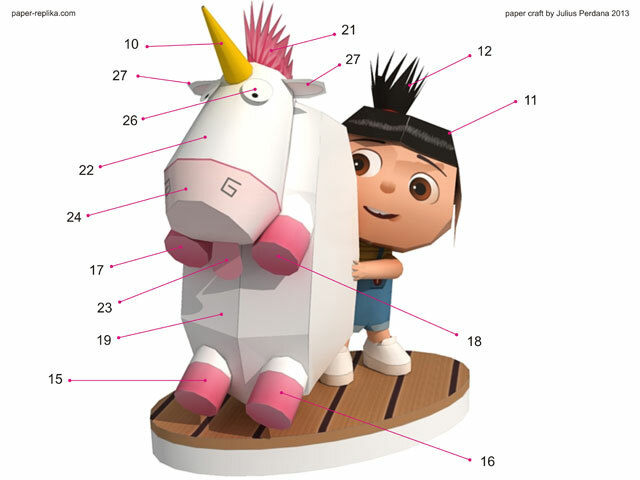 There is a hole on the unicorn back, place Agnes right cheek fit to the hole in a way so Agnes arm can reach and hug her unicorn doll.